Don’s small group started smoothly and seemed to go well the first several months. Within the first year, Don called me to tell me he was stepping down from group leadership. When I met with him to ask what happened, he told me about his increasingly frantic pace of life and the overwhelming amount of time and energy required to facilitate weekly small group meetings and keep up with the members of his group. Joel Comiskey writes, “All cell leaders face the ‘tyranny of the urgent.’” He is absolutely right. Unfortunately, dealing with the urgent all the time leads to stress, frustration, discouragement, and eventual burnout. Don’s predicament as a leader is nothing new. As a small groups pastor, I see it all the time. In the ideal world, he says, you as a leader should have an equal amount of (or more) resources compared to your number of responsibilities. When you become frustrated and burned out as a leader, on further inspection you will find that you have far more responsibilities than resources. There are two ways to remedy small group leader burnout: reduce your responsibilities or increase your resources (or both). Don did what lots of leaders do—he chose to eliminate his responsibilities by abandoning the position. Don could have easily chosen to add resources had he known this option was available. Townsend suggests that one of the best resources to battle leader burnout is people. By adding people to the leadership role, the resources outweigh the responsibilities and small group leadership becomes fun and quite fulfilling. Over the last several years I’ve invested a lot of time studying team building. And for a very good reason: I was not very good at it! Like many leaders, I thought I could and I even needed to do it all myself! Not only was I burning out as a leader, I was also keeping others from using their leadership gifting. So I started reading everything I could get my hands on about team building. I attended seminars, browsed web sites, and spent time with people who are great team-builders. As I’ve grown as a team-builder myself, I’ve discovered that it’s really not difficult; in fact it’s made leadership more fun, encouraging, and rewarding. 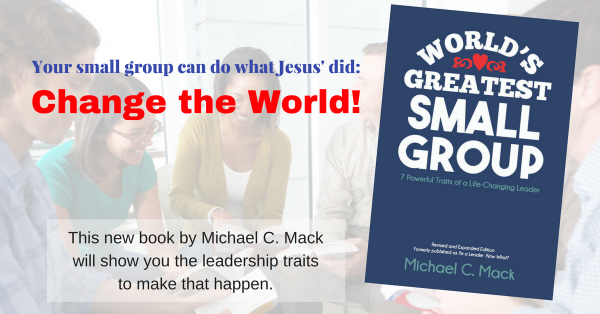 In my latest book, The Pocket Guide to Burnout-Free Small Group Leadership, I share what I’ve learned about turning a small group into a soul-winning, care-giving team. By the way, The Pocket Guide to Burnout-Free Small Group Leadership is available in both a printed and digital format. Click here for more information. This post is adapted from the Introduction of The Pocket Guide to Burnout-Free Small Group Leadership. Previous article O God … or Yea God? Next article Should Christian Leaders Set Goals?